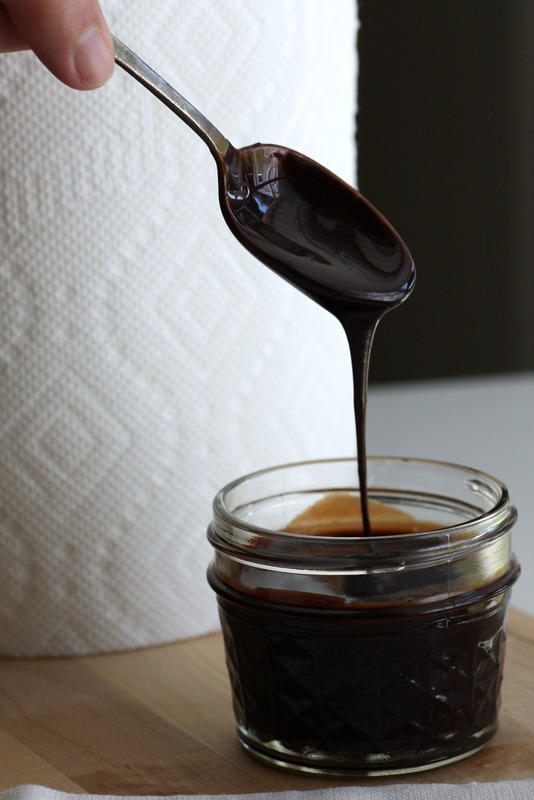 How can you not love chocolate syrup? Of course it’s awesome for chocolate milk, but you can drizzle it over ice cream or a piece of pound cake, stir it into your coffee to make a mocha – as far as I’m concerned you’re allowed to stand in front of the fridge and eat it with a spoon. I do believe that’s allowed in every etiquette book ever, as long as you remain unseen. There. I gave full permission Now you know I love you. his chocolate syrup recipe is just flat out fabulous. Rich, simple, inexpensive – there’s nothing not to adore here. On top of that it’s absolutely incredible, and only takes about 10 minutes to make? The one and only thing to watch out for is lumps – whisk really well. And if you end up with lumps, just run it through a sieve and you’ll be fine. Combine all ingredients in a saucepan over medium heat, whisking well. Bring mixture to a boil, turn heat to low, and simmer for 1 minutes.